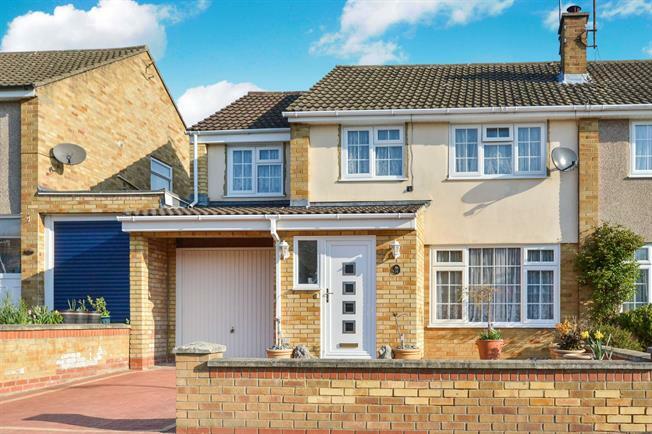 4 Bedroom Semi Detached House For Sale in Milton Keynes for Asking Price £320,000. This property's price has dropped from £350,000 to Asking Price £320,000. Beautifully presented Four Bedroom property, consisting of entrance porch, lounge leading into dining area, double doors leading into a study space at the back. The property also offers separate kitchen area. Furthermore the property has a separate utility space with downstairs cloakroom and access into the Garage. On the first floor Coleridge Close offers Four bedrooms with en suite to Master Bedroom as well as additional storage space and family bathroom. Wooden back double glazed door. UPVC back double glazed door, opening onto the garden. Double glazed uPVC window with frosted glass facing the rear overlooking the garden.